Monsoons are evidence of God’s benevolent self operating franchise on world weather. Asian Monsoon clouds from June to September exhibit the power of the Creator. Even an Atheist would accept the presence of a Super Intelligence on watching the transition of millions of tons of water to vapour, to cloud and then to rain. Man has been seeking telekinesis or psycho kinesis, the transportation of matter through thought. Here is a big example of psycho kinesis- Monsoon rains. Monsoon clouds arise like angels of God. God has set up a gigantic system which works like a Celestial viaduct. The sheer volume of this manoeuvre boggles the mind. It is brilliant in its simplicity. The hot sun heats up the lands of the Indian sub continent. The hot air from the land surface begins to rise creating a low pressure zone. Meanwhile the difference in land and sea temperatures builds up a strong air current and clouds over the Indian Ocean, the Arabian sea and the Bay of Bengal. The air current transports the clouds towards the low pressure zones of India, Pakistan, and Myanmar. The Himalayas block their desire to go further. It is very British to talk about the weather but today the mantle of weather discussers has been taken over by Asians who are sustained by the Monsoons. The building up of the Monsoon clouds and their long journey is tracked by the Meteorology departments and television channels of the world. It is tracked like the movements of an advancing army. The arrival of the clouds is very much like that of a great conquering army. A few straggling clouds arrive like heralds and relax on the blue skies waiting for the rest of the army of clouds to catch up. Within minutes the sky turns pitch dark. The wind begins to blow with great vigour and trees begin to sway in an ecstatic frenzy at the final arrival of the Monsoon clouds. Birds fly from tree to tree in a panic discussing the big event. Monkeys chatter and jump up and down on tree branches in fear and awe. Men welcome the arrival of the Monsoon rains with prayers. The black clouds, the thunder claps and the ferocious lightning are visions evoking the Genesis of the world. 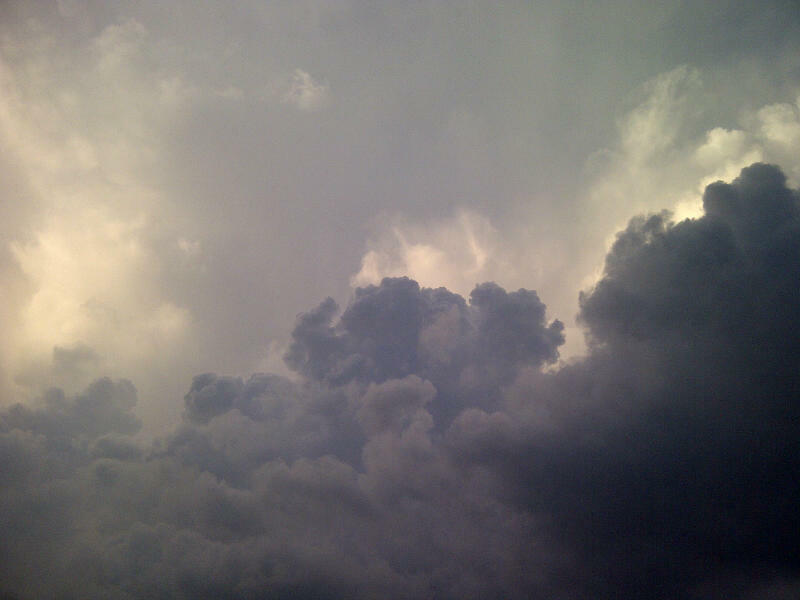 Indeed Monsoon clouds are the harbingers of new crops and the source and sustainers of life.